56-metre Perini Navi Asahi has commissioned to supply a full set of Doyle Stratis sails. Since the formal launch of Doyle Stratis ICE in 2013, the innovative new sail fibre has proved increasingly popular with a growing percentage of the Doyle production schedule devoted to it. The loft has just completed the sails for the 46m Hoek design in-build at Royal Huisman and soon start work on new membranes for 52m Alloy Yachts’ Red Dragon, which will be the biggest ICE sails made to date. The loft has also just built a full new set of ICE sails for Alex Thomson’s Hugo Boss, recently installed on site by head of design, Richard Bouzaid. Another exiting project for Doyle NZ is a full race inventory of ICE sails for the 30m IRC Bakewell-White super maxi Rio 100. 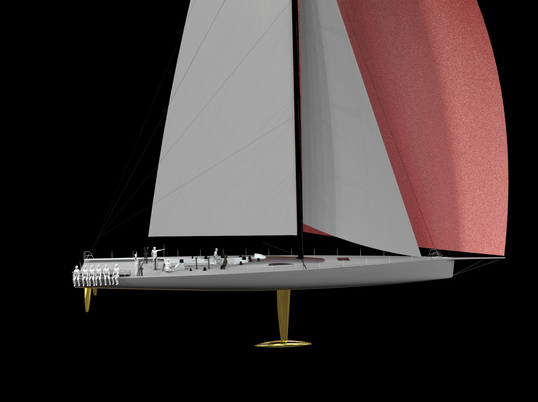 The loft is also working on a full new set of Stratis carbon/technora sails for 56m Perini Navi, Asahi. Indio, a Wally 100, undergoing sail trials with a full suit of Stratis ICE sails in December 2013. Stratis ICE, launched in August 2013, exhibits similar properties to high modulus carbon and has shown the highest resistance to flex fatigue of any sail product, with ICE sails retaining their initial shape and speed longer than any other sail membrane. This means the Doyle design team can engineer sails much closer to their work load, and avoid over-engineering them in anticipation of future flex fatigue. Closer to home the Doyle NZ team is very busy across the full product ranges of sail making, service, rigging and covers and upholstery. The team continues to grow from strength to strength with new additions including Andrew Brown joining as One Design manager and Luke Tempest as Rig Shop manager. The loft is also seeing growing traction in the One Design classes, with particular growth for the Stratis Finn sail range. Doyle was proud of the second consecutive win in the Y88 Nationals by Flash Gordon, skippered by ETNZ’s Jeremy Lomas, and is now building Y88 sails to Richard Bouzaid’s new, refined 2014 design. 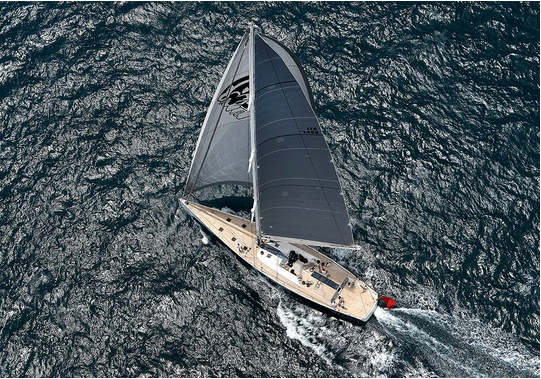 See Doyle Sails for more on their Doyle Stratis ICE.